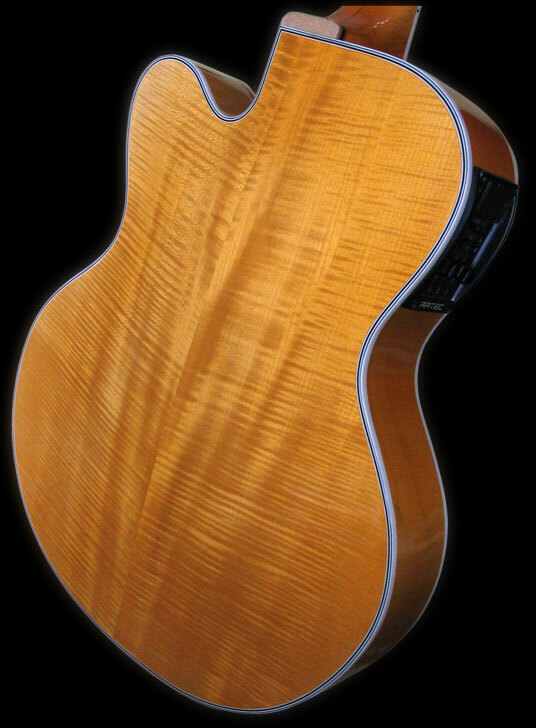 Body: Top plate is top "Bear claw" Swiss spruce . Sides and back are "Master grade" curly maple. Soundboard: With parallel braces and standard "F" holes. 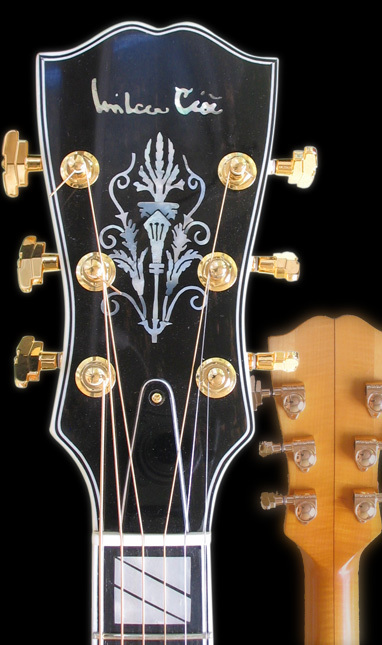 Other: Graph-tech saddles control to provide full control prevention breaking nylon strings on bridge. 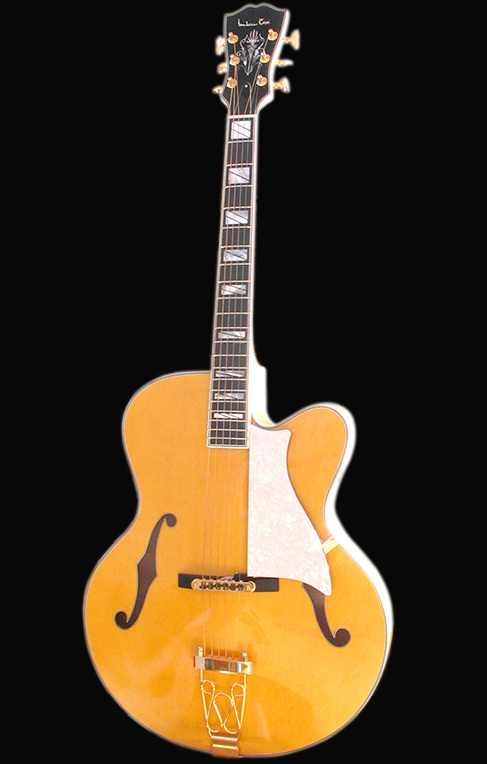 This guitar can be stringed with all kind of string alloy, there is no limit to tune or play flat wound "jazz" strings, acoustic bronze base strings or electric steel strings and in the special eccasion can be use nylon strings also. 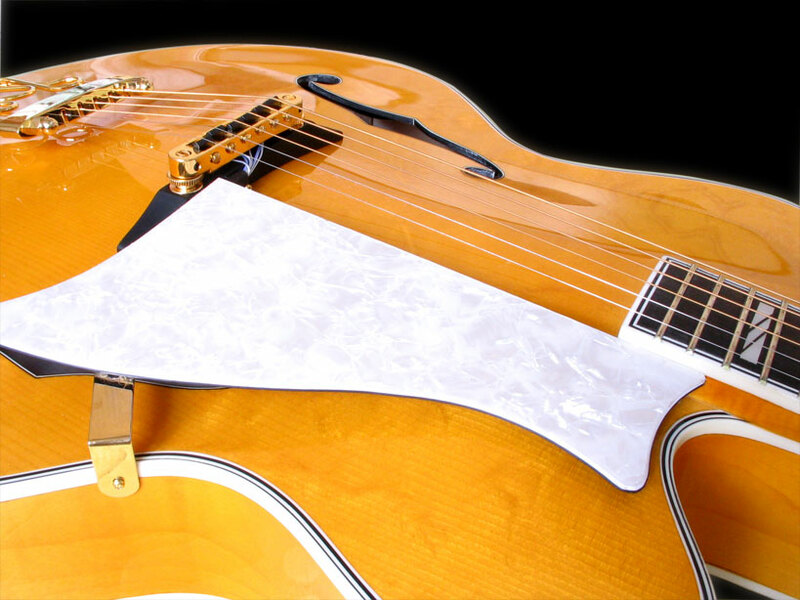 Sound: Sound transmission provides piezo-pickup LR.Baggs built in bridge. This one is possible use also as stereo output, couse every string is controlled with the independent wire. Pre-amp is 4- band equalizer and phase notch. 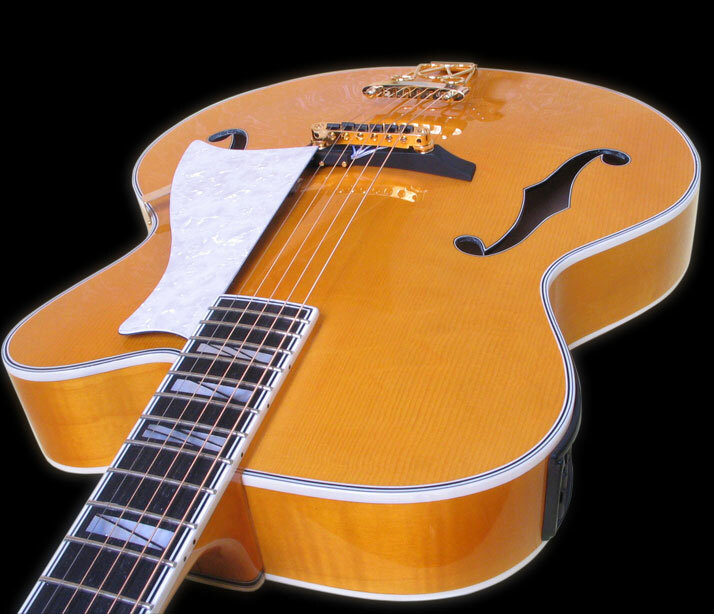 Sound of the guitar is built for play in acoustic orchestras with gentle amplification or can be use as steel string acoustic guitar with very uniqe color of sound. In the first place guitar excels as an acoustic instrument, where are mellow all acoustic facilities of a spruce and maple.